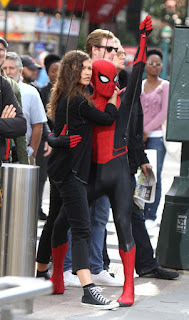 Cute filming photos of Zendeya & Tom Holland in his Spiderman Gear. This is the first look at the NEW black & red suit, With the release date being 2019, produced by Marvel & distribuited by Sony & Columbia Pictures. 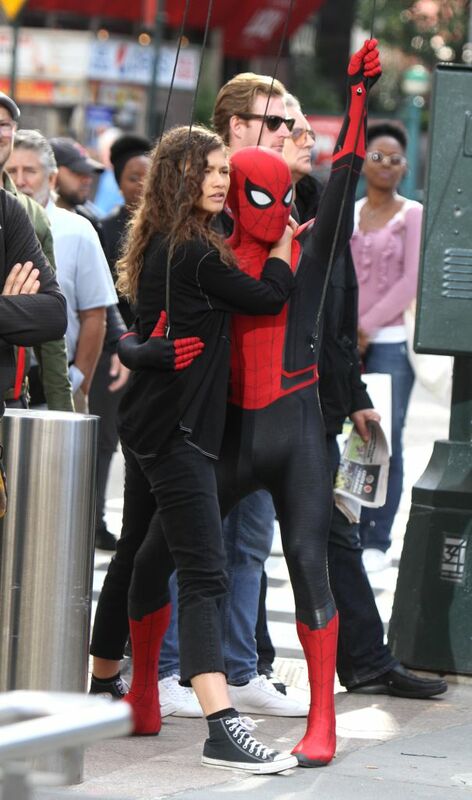 The next Spiderman movie will be titled: Spiderman Far from home incase you didn’t know.